The way each sister is called to a ministry varies. Some go through a long discernment process, carefully planning and thinking about the challenges of taking on a new ministry, while others just show up and figure it out as they go. Sister Mary Kennedy is one who just showed up to Honduras 34 years ago, and has been helping indigenous populations there for the past 12 years. 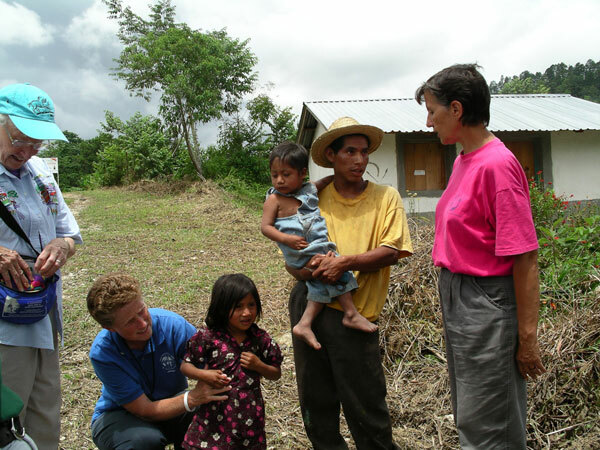 Sister Mary has served in Monte Verde, a small village in the San Francisco de Opalaca municipality of Honduras, since 2006. Sisters serving there opened the mission because they wanted to serve a rural area where there were no religious men or women present and where the needs of the poor were not met. They contacted the bishops of the poorest archdioceses in Honduras, and selected Monte Verde as their new mission, but did not yet know how they would help. Sisters Mary and Reina del Carmen Rodriguez were the first to arrive, with Sister Emelina Maradiaga following four years later. The sisters came to Monte Verde without any pretense or agenda. They began listening to the townspeople to find out what they needed. The sisters did not want to teach in a classroom setting, as they felt called to serve the people beyond the walls of a school and developed ministries to support education in the broadest sense. 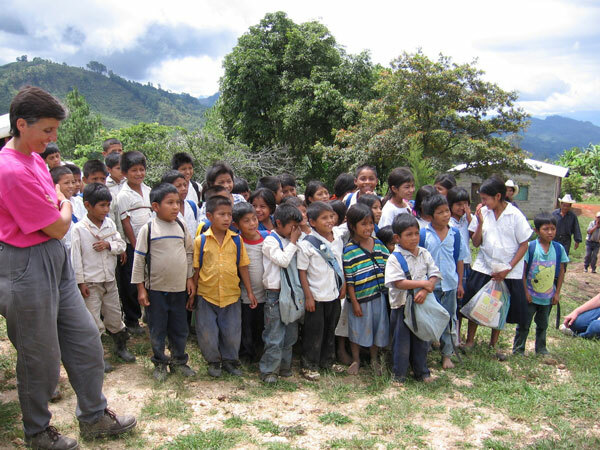 As with all SSND ministries, the basis for this Honduran mission is education. Because the town is remote, education in many areas was lacking. Sisters Mary and Reina del Carmen began working with catechists and religious leaders in the community to help strengthen their religious education and understanding of the Gospel. They helped women learn new skills to support their families and emphasized the importance of school. The lack of education in Monte Verde becomes detrimental to adults, as well, who struggle to know their worth and the worth of their crops. Many villagers are farmers, and most practice subsistence farming, which does not make the families any money. An adventurous few had tried growing coffee, as the altitude and soil are perfect for this cash crop; however, without the business acumen to price their products correctly, sellers from larger cities would take advantage of the farmers. The sisters saw these unfair practices and wanted to help. They brought in larger organizations to show the farmers how to grow and harvest the coffee effectively while maintaining the highest possible quality. The sisters and these organizations also helped the farmers establish a cooperative, which maintains a base line price to sell the coffee, allowing the farmers to make a profit and have an income. “Establishing the cooperative has been a wonderful process and success story,” said Sister Mary. “This will and already is bringing people out of extreme poverty.” Another huge change for Monte Verde is becoming a parish and having the full-time presence of a priest in the area. Upon arriving to the area, the sisters discovered that many villagers were traveling six hours on a bus to participate in their parish. Through dialogue with the bishop, the sisters and the people voiced the plight of the area. As a result, the bishop named the indigenous municipality a parish and placed a full-time priest in the town. Sister Mary explained that people welcomed the priest, and have shown marked growth in their faith lives because of this. Sister Mary has been serving the people of Honduras for 34 years, coming almost immediately after making her final vows with SSND. Originally from St. Louis, she met a missionary during her formation period and participated in a cultural program in Honduras in 1980. She fell in love with the country and returned the next two summers. She moved there permanently after that. 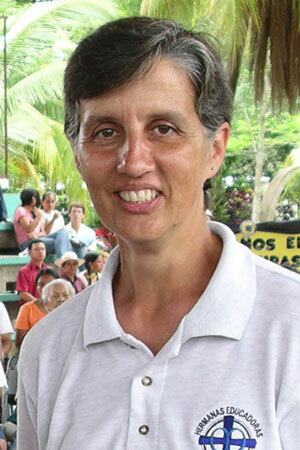 Although she joined SSND through the former St. Louis Province, she is now a part of the Latin American Province. She has used this St. Louis connection to impact people looking for a cause larger than themselves. She established a relationship with Althoff Catholic High School in Belleville, Illinois, and St. Francis of Assisi parish to send people to Monte Verde to help those in need. The parish even became a sister parish to Monte Verde, sharing a connection with the same patron saint. Even though the parishioners from St. Louis and those from Honduras may not share much in common, Sister Mary said that God works through cultures to share faith, granting them a connection as children of God. Sister received honorary doctorate Sister Carleen Reck received an honorary doctorate degree from the Aquinas Institute of Theology at S. Francis Xavier College Church in St. Louis. She received the Doctorate of Humane Letters for her work as the executive director of the Criminal Justice Ministry. Use this time of the year to reflect on God’s works Earlier this year, Provincial Councilor Sister Anna Marie Reha found herself astounded at God’s vast beauty and endless abundance. Now that it is summertime, a typical time of rest and relaxation and for enjoying all of God’s creation, she finds herself reflecting again on the encyclical Laudato Si. SSND sisters and staff to Pedal Past Poverty Sisters and staff at Our Lady of Good Counsel in Mankato, Minnesota, will again race to raise funds and awareness about homelessness in the area. In collaboration with Partners for Affordable Housing, they will participate in Pedal Past Poverty.